(b. 1979) – teaches philosophy and ethics in the Raszyńska Lower Secondary School No. 20 in Warsaw; the author the webpage: Nowe Wiersze Sławnych Poetów. 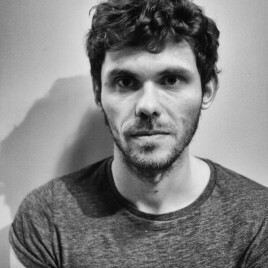 Singer–songwriter in Ryby ensemble. He has also written lyrics for the records released by Extra and Jerz Igor groups. He was active in the Porozumienie Kobiet 8 Marca organizing women’s manifestations in Warsaw. In 2015 he defended his doctoral thesis ”The fluidity of concepts. An attempt at interpretation of «Sein und Zeit»”. He lives in Warsaw. 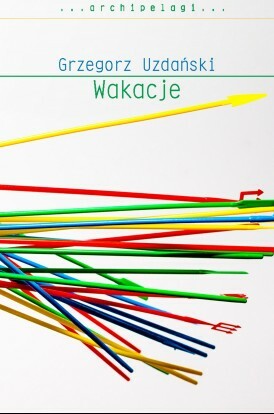 Wakacje is his debut as a novelist. Wakacje (Wydawnictwo W.A.B.) is a debut novel of Grzegorz Uzdański, the author of Nowe Wiersze Sławnych Poetów. His bold, insightful, ironic book is a story of Marta, who together with her daughter Justyna spends a week in an agritourist farm in Kujawy. They go on a trip to visit the sites of a hidden family story: a grandmother who returns in the memories of the women who was German, of Evangelical faith, and after the war accepted complete assimilation and never mentioned about her origins and or surviving members of the family. But their journey has another undertone: the mother and her grown up daughter want to spend some time together, leaving aside disagreement and conflicts they are painfully aware of, building a platform of understanding and closeness, or at least keeping nice memories from their expedition together. Plans are ambitious, but reality is different: a great expedition to rediscover the roots turns into … simply holidays.